Ernesto Pastore's recent work, Conchita, is a computationally designed chair inspired by bivalve seashells. Ernesto's work is often inspired by the growth processes and efficiencies found in nature, resulting in sculptural, yet functional, designs. 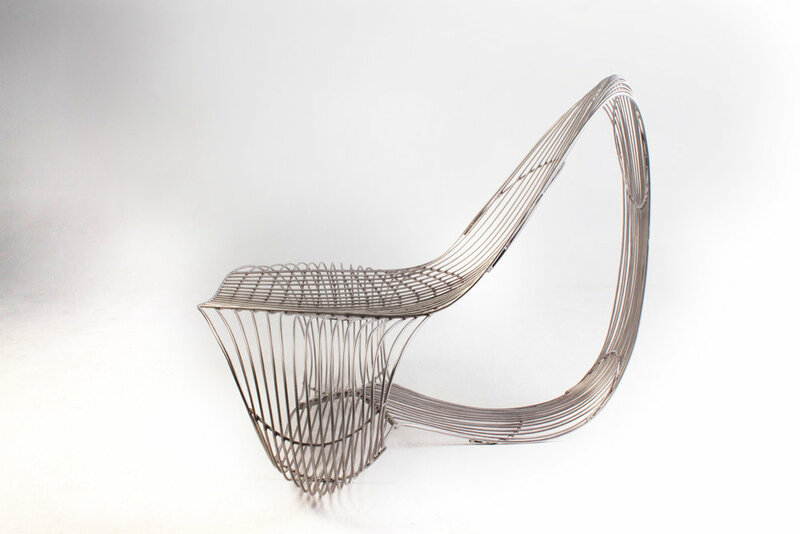 Designed with Rhino and Grasshopper, Conchita was fabricated with a combination of digital fabrication and craftsmanship. Ernesto Pastore is an architect and computational designer. He began his architecture and sculpture studies in his native El Salvador and later completed it at the Architectural Association in London. His main interests now involve experimenting with novel digital design methods and exploring new materials and fabrication processes, often combining traditional techniques with emerging technologies.